Maria M. Yip, CPA, CFE, CIRA, CFF is the founder and managing partner of YIP ASSOCIATES, a boutique firm specializing in forensic accounting, financial investigations, tax consulting, bankruptcy, receiverships, other fiduciary roles, and valuation serving clients in the United States and abroad from offices in Miami, Fort Lauderdale, Boca Raton, New York and New Jersey. Ms. Yip has previously worked for Price Waterhouse, Arthur Andersen, and led the forensic accounting practice for Florida as a partner at Grant Thornton. Ms. Yip is a Florida certified public accountant (CPA), certified fraud examiner (CFE), certified insolvency and restructuring advisor (CIRA) and is certified in financial forensics (CFF). She has more than 22 years of experience serving as a consultant and expert witness in commercial disputes, litigation, and arbitration. Clients include attorneys, receivers, and trustees representing individuals, corporations, board of directors (audit committees) and governmental agencies. Ms. Yip is a sitting United States Bankruptcy Panel Trustee in the Southern District of Florida. 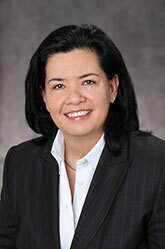 She also serves as an expert witness in Federal and State court, international litigation and arbitration matters. She regularly serves as a court-appointed receiver, examiner, custodian and assignee for the benefit of creditors. Ms. Yip has significant experience marshaling assets and identifying potential causes of action to provide recoveries for creditors and investors. Ms. Yip has also served as accountant and financial advisor to receivers appointed in numerous SEC, CFTC and FTC matters. Ms. Yip has extensive experience in the tracing of funds and the reconstruction of financial business records in civil and criminal matters. Ms. Yip has experience calculating economic damages in breach of contract and other commercial disputes. She has experience in the preparation of financial affidavits and conducting financial investigations in marital disputes. Ms. Yip assists counsel with a detailed review and analysis of business records, assistance with discovery, and preparation of analyses, written reports, demonstrative exhibits and testimony. Ms. Yip has significant experience conducting internal and external financial investigations of alleged business frauds including white-collar investigations, embezzlement and asset misappropriation, financial reporting and securities fraud. Ms. Yip has experience with investigations in the United States, Latin America, and the Caribbean. Ms. Yip has effectively provided consulting and expert witness services to attorneys in connection with Latin American and Caribbean matters as a result of her experience in complex matters combined with her language capabilities and cultural understanding. Ms. Yip is fluent in Spanish. Ms. Yip holds a Bachelor of Accounting degree from Florida International University. She is a member of the American Institute of Certified Public Accountants (AICPA), Florida Institute of Certified Public Accountants (FICPA), Association of Certified Fraud Examiners (ACFE), and Association of Insolvency and Restructuring Advisors (AIRA). Ms. Yip is a member of a Florida Bar Grievance Committee.